I respond to Ned Block’s claim that it is “ridiculous” to suppose that consciousness is a cultural construction based on language and learned in childhood. Block is wrong to dismiss social constructivist theories of consciousness on account of it being “ludicrous” that conscious experience is anything but a biological feature of our animal heritage, characterized by sensory experience, evolved over millions of years. 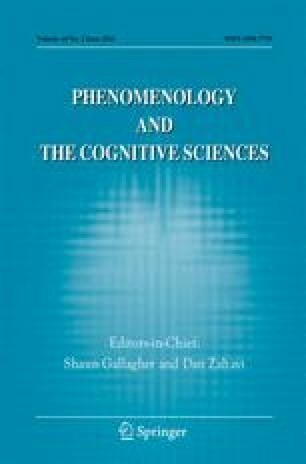 By defending social constructivism in terms of both Julian Jaynes’ behaviorism and J.J. Gibson’s ecological psychology, I draw a distinction between the experience or “what-it-is-like” of nonhuman animals engaging with the environment and the “secret theater of speechless monologue” that is familiar to a linguistically competent human adult. This distinction grounds the argument that consciousness proper should be seen as learned rather than innate and shared with nonhuman animals. Upon establishing this claim, I defend the Jaynesian definition of consciousness as a social–linguistic construct learned in childhood, structured in terms of lexical metaphors and narrative practice. Finally, I employ the Jaynesian distinction between cognition and consciousness to bridge the explanatory gap and deflate the supposed “hard” problem of consciousness. I would like to thank Jon Cogburn for giving me the idea to defend Jaynes against Block’s criticisms. Thanks are also due to Jan Sleutels, Lee Braver, and Marcel Kuijsten for helpful comments on the draft, as well as to Katie Rose for pointing out a great number of typos. I am also grateful for the anonymous reviewers who helped me significantly tighten my paper and improve my arguments.